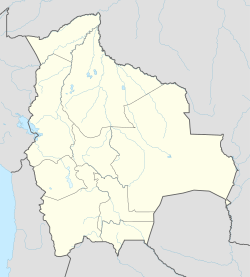 Alota is one of the cantons of the Enrique Baldivieso Province (or "San Agustín Municipality") in the Potosí Department in south-west Bolivia. During the census of 2001 it had 533 inhabitants. Its seat is Alota with a population of 515 in 2001. This Potosí Department location article is a stub. You can help Wikipedia by expanding it. This page was last edited on 2 July 2017, at 18:08 (UTC).